This is considered a Psalm of Praise. It describes the Psalmist experience with God by using very personal terms. The Psalm overall can be divided into two parts: 1) A Hymn of Praise – vv.10-18 2) A Lament – vv. 19-24 Because of the shift of mood between these two sections, some scholars believe these were two separate psalms that ended up coming together. The close tie between vv. 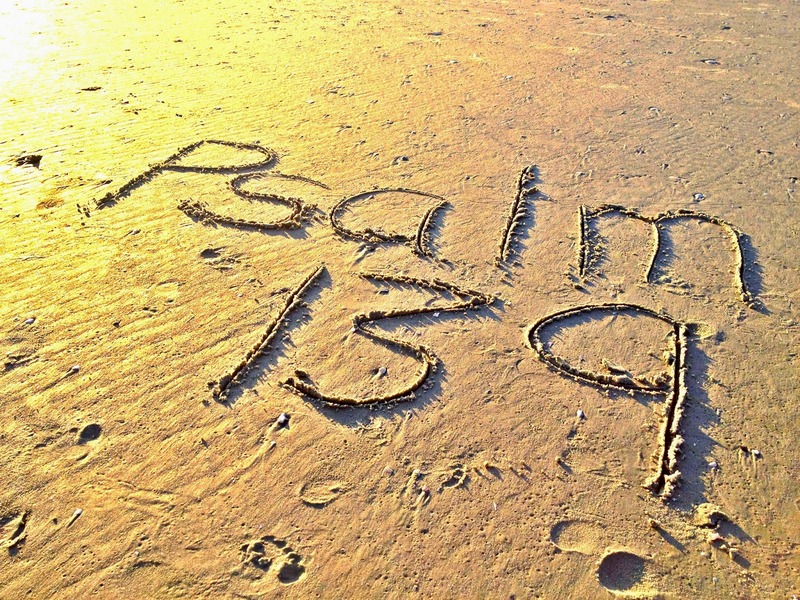 1 & 23 show that this may have always been a single Psalm. The reference to the womb may actually refer in the original Hebrew language to the earth – see v. 13. V. 15 makes this possible connection of womb/earth. The point is that God knows us very well. V. 18 shows us that our journey through life is connected with God in so many ways. This begins a story about Hannah who is barren. God grants her request for a son (Samuel.) Hannah’s song of praise reminds us of Mary’s “Magnificat” in the Christmas story where she proclaims that God lifts up the lowly and brings down the mighty. This theme of people being brought low and others being raised up is a common theme throughout the story of Samuel and Israel in general. This is a story that emphasizes how God initiates a relationship with us. Even though we are told that the word of the Lord was rare in those days, this story reminds us that God was still at work. God addresses Samuel at different times throughout the night and finally, Samuel realizes who is calling him. Even though Eli has bad eyesight, he still knows that the Lord is the one calling Samuel. Samuel tells Eli about what the Lord said to him which is Eli will be brought low and Samuel will be raised up! This story is to have us think about how God brings low and raises up and this includes us. Like Samuel, we too experience the highs and lows of living a life of faith. How does this connect with the Jesus story which includes the crucifixion and the resurrection. So much to ponder about this! Nikos | Sermon (January 11) by Rev. 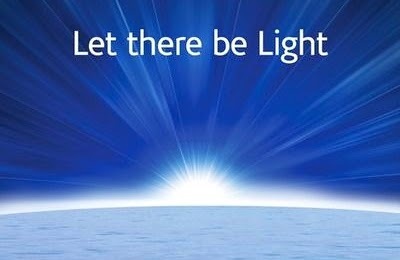 Robert McDowell – "Let There Be Light!" There are times when we are reminded of just how small we are in comparison to the vastness of the universe. It’s humbling when we experience these moments. Some science museums offer a timeline of the history of the world. You’ve probably seen these timelines. They are sobering reminders that the human race is just a tiny speck on the large canvas of time. If the world was put into a twenty-four hour timeline, dinosaurs are still alive at the 11:51 mark. Humans don’t appear until the very last minute. In North America, human beings don’t appear until 1/7thof a second ago! That’s how small we are in the grand scheme of the lifespan of the world. Or maybe during a plane flight, you looked out the window, and you were reminded of how small we really are here on planet earth. It’s during times such as these that we are led to contemplate our sense of worth and purpose in the world. Like a museum timeline of the world, the Bible also provides us with a wide-lens view of the world and where we fit in the vastness of creation. Unlike the museum historical time-line chart, the bible offers us a perspective of purpose and self-worth. 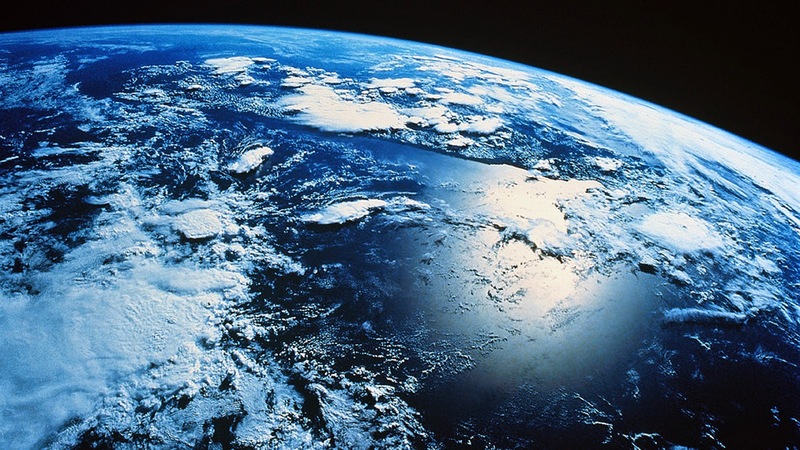 Many bible scholars believe that the Genesis chapter one creation story was written during a time when the people of God were living in exile. Away from their homes and familiar surroundings, they needed to be reminded that God had not forgotten them. More than just a tiny dot on a spinning globe, they were wondering if God still had a plan and a purpose for them. They needed a reassuring word that not all had been lost. The creation story provides this reassurance. The bible begins by reminding us that God has been present from the very beginning of creation. From there, we are given a description of the world as being a place that was without shape or form and was simply a dark sea. For a people living in exile, this would have sounded a lot like their present reality. Chaotic, dark, scary. 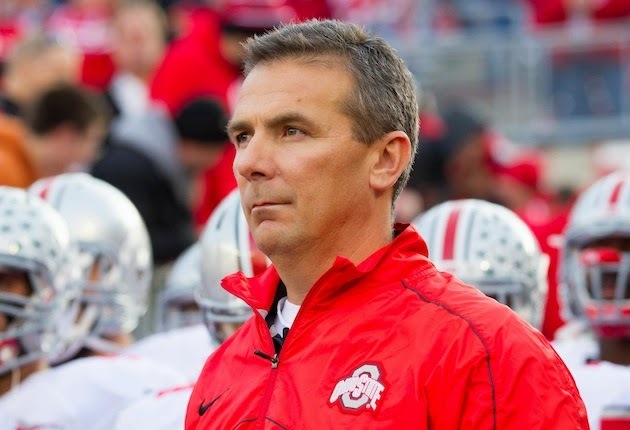 This past fall, Ohio State’s football coach, Urban Meyer, shared about some of the darkness that he has faced over the past several years. His darkness was in dealing with depression. He shares that his darkest time was back in 2009 when he was the head coach at Florida. He had just won a national championship. His closest friends knew that something was wrong, because instead of giving himself some time to enjoy a national championship that year, he was already thinking about the next football season. The pressure to win had caught up with him mentally, emotionally, and physically. He was taking sleeping pills, Ambien and chasing it down with beer just to fall asleep. He lost 37 pounds that year and at one point, he felt like he was experiencing a heart attack. He ended up retiring from coaching after the 2009 season and became a college football analyst before arriving at Ohio State in 2012. He has been learning to manage the stress of coaching and continues on the road to healing. As I read about this dark time in Urban’s life, it made me think about the darkness and the chaos that is described in the creation story. This isn’t just a story for exiles who lived a long time ago, this is a story for us whenever we face the darkness and pain in life. The creation story tells us that it’s when we encounter the dark and chaotic times of life that God offers us hope. We are told that God’s wind swept over the waters and God said, “Let there be light.” And the light appeared. Amid the threating force of chaos, the bible affirms God as the creator of order out of chaos. This scripture reminds us that there is no darkness that is too dark for God to help us overcome. I’ve shared with you several years ago about a friend of mine who went through a time of darkness in his life. Things had become unsettling for him that his family doctor had him admitted at a mental health hospital for treatment. He had been very successful in his career and yet, unknown to many people, he too struggled with depression. He told me that he was admitted on a picture perfect day of blue skies and 70 degrees but all he could see that day was darkness. That’s how bad things had become for him. Thinking that he would be in the hospital for a week or two, he became even more discouraged when he learned that he would need to stay in the hospital a lot longer than he previously thought. Even though he was receiving the help he needed, all he wanted to do was to go home. When he was allowed to have visitors from outside the family, one of his best friends came to pray with him. His friend gave him a cross that was very special to him. My friend, knowing how much that cross meant to him, told him that he couldn’t possible keep it. Some days after that visit, my friend was walking through the lobby of the hospital. He was feeling down and wondering when he would be able to go home. He noticed that there was an open hymnal on the music stand of that piano. He soon was able to get home from the hospital. Thanks to the treatment he received in that hospital, the prayers of his family and friends, that special cross he received from his good friend, and that one little phrase from an open hymnal, my friend experienced God’s healing in his life. The remarkable man of literature and faith, Robert Louis Stevenson has given us the inspiring story of a ship in a severe storm at sea. The passengers, huddled in the darkness below the decks, were in awful fear for their lives. At last, they chose one of their number to go topside and learn what he could about their situation and their chances. Like the people in this dark boat, the people who were living in exile needed to know that somebody was still at the wheel. The creation story reminds us that God’s Spirit is sweeping over the waters and providing light. What are the deep waters and chaos that you may be facing in your life? Know that God is not only present for you but is leading you back home. The city of Detroit has been facing dark times. The economy is struggling. People are out of work. It’s been difficult for families to make a living. This past Fall, Mitch Albom, wrote an article about a shining light in that dark city. Fifty-five year old pastor, Faith Fowler is not your typical pastor. Tireless, humble, with a shock of white blonde hair and a laugh that you can never forget, she houses people, feeds people, and has created 85 full-time jobs for once struggling Detroiters who now, among other things are turning old tires into sandals. During her first sermon at Cass Community United Methodist Church, she prepared a sermon and delivered it with passion until an older woman in the back of the sanctuary interrupted her with a loud voice for all to hear. “Hey, lady! We’re out of toilet paper!” The light of God has been shining in that church ever since that first Sunday. Pastor Fowler is often the only white face at the funerals she officiates and of the church groups she addresses. People had warned her to not serve a church in the inner city where there would be the poor, the addicted, and the developmentally disabled. Instead, Faith Fowler embraced them all. She offered them dignity. She started a culinary arts program, a warming center, and started a pageant contest after being told that many of her challenged church members had never accomplished anything great in life. She helped found a social services ministry which has blossomed into one of Detroit’s most effective charitable agencies, creating everything from apartment buildings for transitional clients to a green warehouse turning the city’s garbage into retail products, from floor mats to sandals that are now selling online around the world. Baptism is a sign that God has claimed us and calls us each by name. In this vast universe, we are not simply a little speck that goes unnoticed. We belong to Christ. We are loved by God. What do you see when you look out at this vast universe, when you are facing the deep waters of chaos, when you are limited by short days, and when you wonder if you will ever make it home again? Do you see the captain at the wheel? Do you see some light breaking through the darkness? Do you hear a voice from heaven saying, “You are my beloved child with whom I am well pleased? In a few moments, we will be invited to come forward to remember our baptisms and be thankful. Even if you have never been baptized, you are invited to come forward and know that God is the creator and wants to have a relationship with you. If you’d like, you may also kneel at the chancel railing. Allow this to be a time for you to be drawn to the One who knows you by name and promises to be with you through every single storm you face. Each year that we have offered a baptism renewal, people have commented how meaningful it was to come forward and renew their faith. What a great opportunity on this Baptism of the Lord Sunday to remember that we are not just a speck on a giant timeline of the universe. We belong to God. Let there be light.